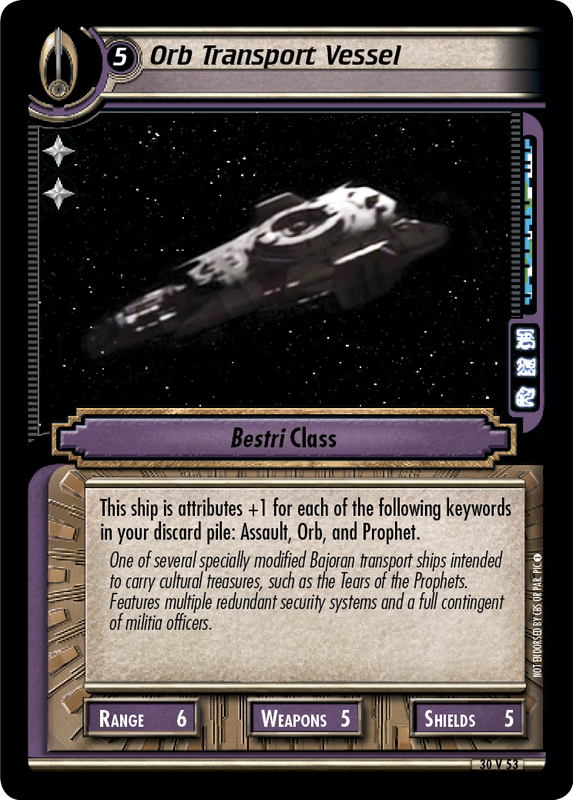 This ship is attributes +1 for each of the following keywords in your discard pile: Assault, Orb, and Prophet. 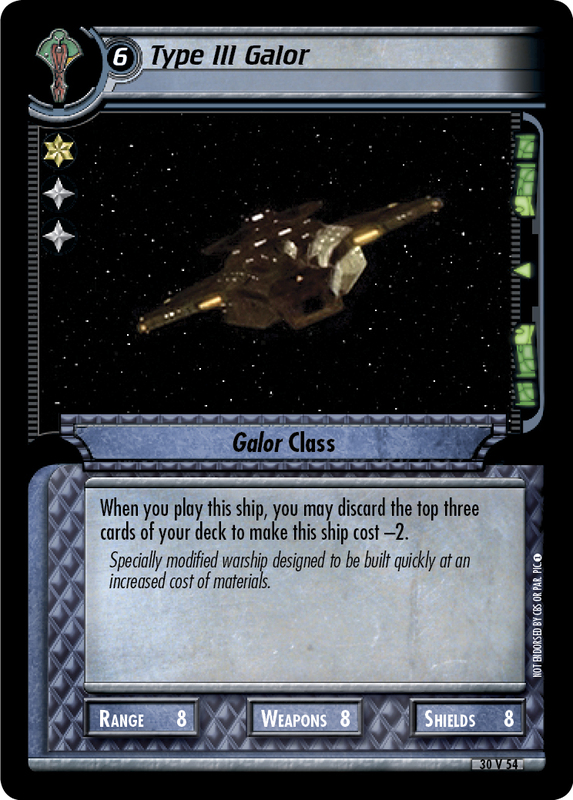 One of several specially modified Bajoran transport ships intended to carry cultural treasures, such as the Tears of the Prophets. 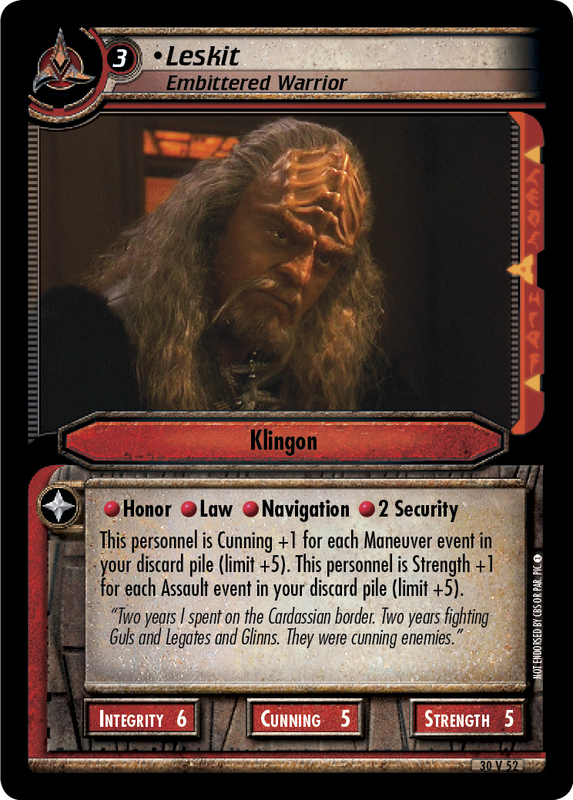 Features multiple redundant security systems and a full contingent of militia officers.